“My father was competing in the European Championship, but he quit quite early. 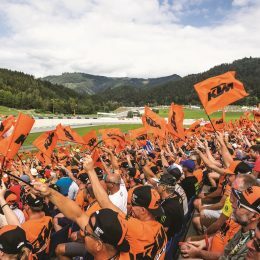 I was a small kid when he had a team and my father also managed the KTM Motocross Teams for some years; with Trampas Parker he won the title in 1989, then with Mike Healy, Bobby Moore and then we concentrated on Enduro – I used to race too,” explained Fabio. Enduro is well known for its passion and roots. Fabio was certainly brought up with a strong foundation in the sport, as after winning a national Motocross Championship, he switched to Enduro where he won a world title in 1993. 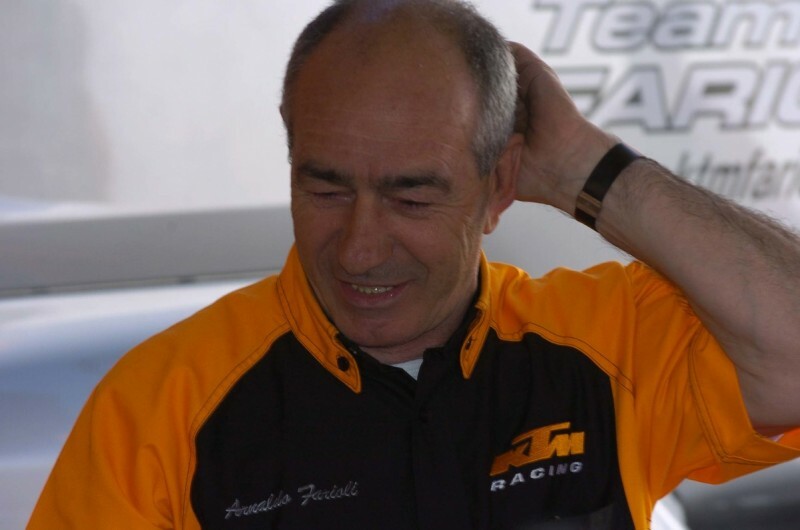 He also won four times in the International Six Days Enduro and also in the Italian Championship. 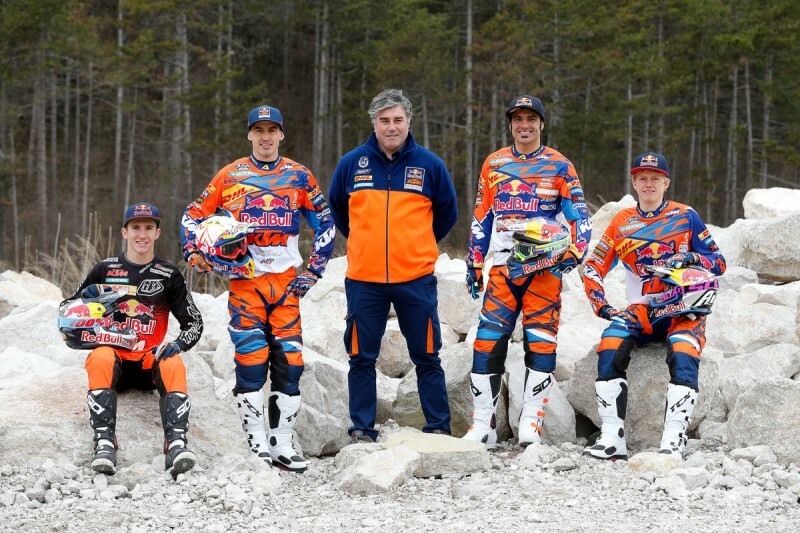 After his racing career was over, the Italian took over the reins from his father as the team manager for the KTM Enduro Factory Team. Fabio explains the toughest part of managing a team is keeping morale high and keeping the dynamics between the team members in a good way. He works a lot to find the right people that can have fun when the time is right, but get down to business when there’s work to be done and ensure everyone gets together. For 2016 Fabio has lost one of his star riders, Antoine Meo, who has gone on to pursue his dream of racing in the Red Bull KTM Rally Factory Racing Team (Meo finished seventh in his Dakar debut this year, winning two stages, and heroically battling to the line with injury on the final day). The five-time Enduro World Champion was a sure star of the Enduro show and Fabio explains how it is in the team without him. 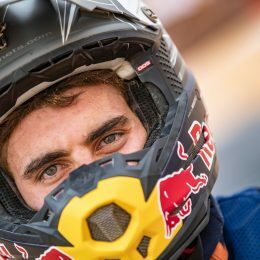 But despite the departure of such a high profile rider, Fabio retains the services of Christophe Nambotin and Ivan Cervantes, while also welcoming young guns Nathan Watson and Taylor Robert. Fabio explains it was important to invest in the next generation of riders, and how he enjoys seeing them develop. “Nathan has come from a Motocross background, he’s raced at Grand Prix level and he’s very fast, but of course he needs more experience in Enduro. We did two races in the Italian Championship. The first one in the sand he was incredibly fast, but in the next one in the mud he was incredibly slow (laughs), no he was not slow but he made a lot of mistakes, as it’s so different from what he’s used to. I have to say he got tired; which is usual because the Motocross rider is not used to being six or seven hours on the bike. 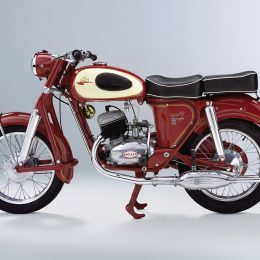 It’s new and we talked about how it was the same for many other riders, for example like (Alex) Salvini. In his first race he couldn’t do the big uphills, so he should not worry, he has natural talent, he works hard and he will learn.” Interestingly enough Nathan took a double podium at the opening round of the championship in Morocco and another top 10 finish in Portugal last weekend. 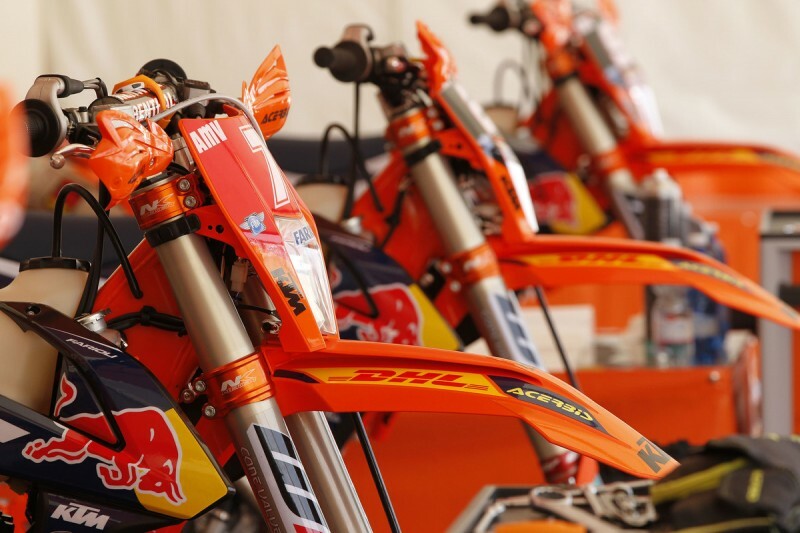 The factory riders this year are racing with all new EXC factory models. It’s been a rush to get them ready for the start of the series, but Fabio explains that initial feedback has been excellent, and the energy and passion it gives to see the concrete result of everyone’s work from the development side. “We are still working on helping the riders adapt to the new bike, but the initial feedback has been fantastic from the riders. After very few hours on the bike they were already very comfortable. It’s a very exciting thing for us to see the bike go into production, although we didn’t get so much time with it before the start of the season with the factory bikes. The riders are very impressed so far, and that’s the main thing,” concluded Farioli. 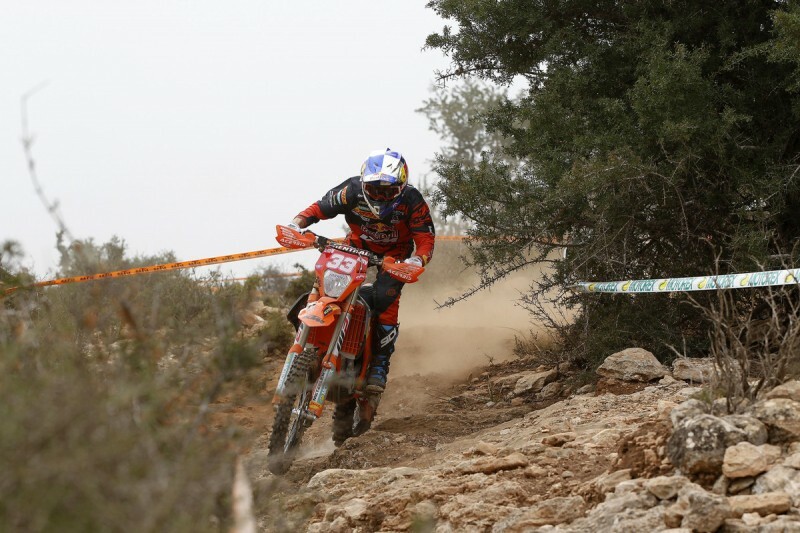 The next Enduro World Championship round is in Greece on May 21/22.